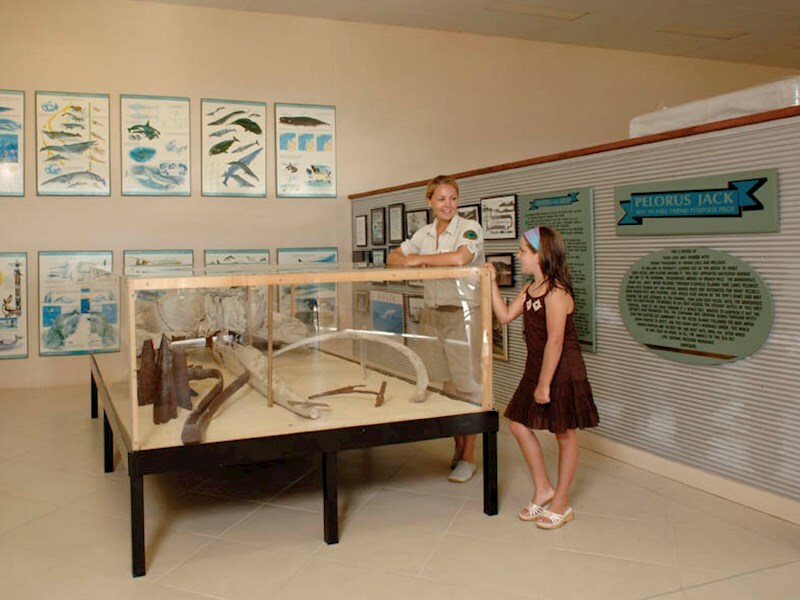 Surrounded by 98% national park and built on the picturesque shores of Moreton Island, The Eco Centre at Tangalooma provides an up-close and personal look into the wonderful world of Moreton Bay. 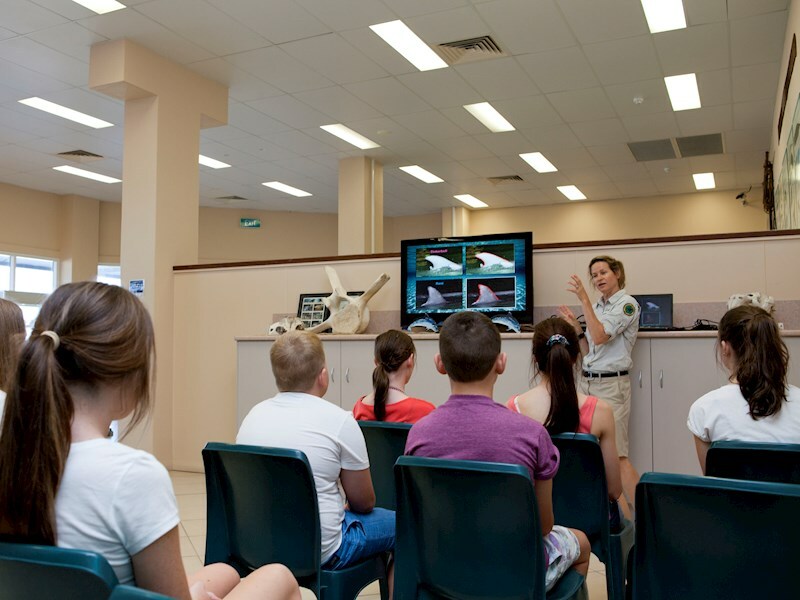 The Eco Centre was established in 1994 to provide support & best-practice management for the dolphin feeding program, with the Marine Education and Conservation programs operating here. Run by a passionate team of Eco Rangers, The Eco Centre is a fun, interactive hub with the purpose of educating our guests on the importance of conservation and the protection of our natural wildlife. The Eco Centre at Tangalooma is unique from any other facility as the environment is right on the doorstep, with endangered animals frequently passing the shores. Dolphins, Dugongs, Whales, Turtles, Rays, Marine Birds and so much more can be seen daily with guided educational talks provided by the Eco Rangers. Pop in at any time to chat to the Eco Rangers to find out more about Moreton Island's history and the abundance of wildlife you can see on and the around island.Through this education, attitudes can be changed and people can become aware of their environments so they can start making a difference. A passionate and dedicated team of Eco Rangers provide a wide range of Eco Walks, Tours and Presentations for all ages and backgrounds. These tours are designed to interactively educate people about conservation and their surrounding ecosystems. Can't make the educational tours? 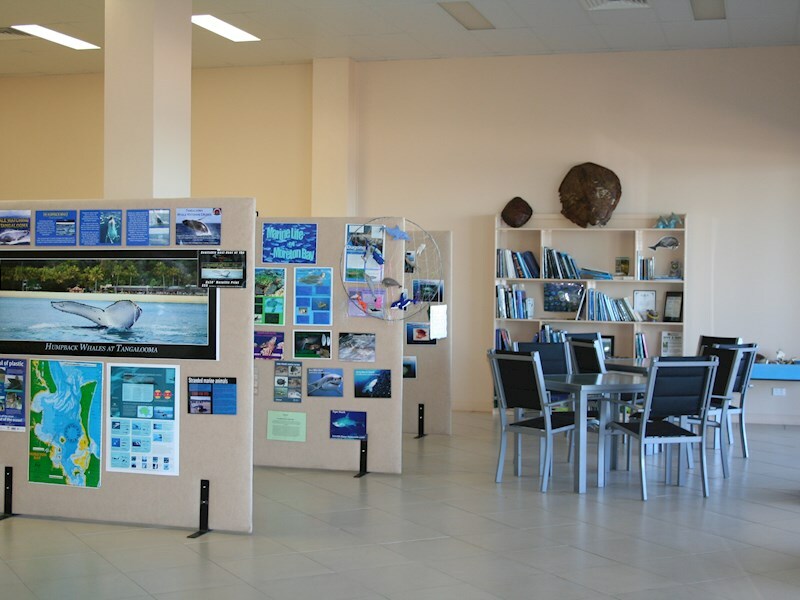 Just pop in and say hello to our onsite Eco Rangers, stationed in the centre, who are more then happy to educate our guests on the surrounds of Moreton Island and Moreton Bay. The Tangalooma Eco Rangers also come along on the Whale Watching Cruises and provide educational commentary on board our boats. You can see some of the past stories from our Eco Rangers by reading the Whale Watch Blog. Where is the Eco Centre located? 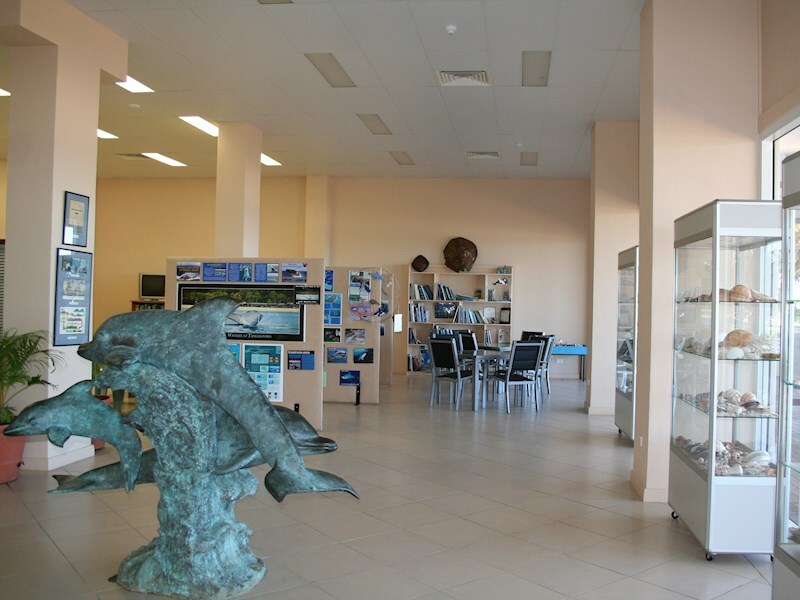 The centre is located at the end of the Tangalooma Jetty, on the ground level of the Deep Blue Apartments and is opened daily from 10am - 12pm and then open for dolphin feeding registering between 1pm - 4pm. Ever wanted to learn more about this iconic Australian bird and meet one (or several!) up close? 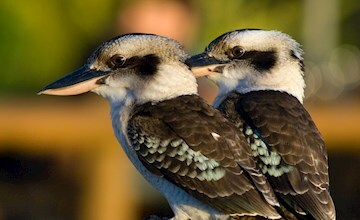 Join our Eco Rangers for the daily Kookaburra feeding, just meet outside The Eco Centre! Every morning Tangalooma's Eco Rangers feed the Australian Pelicans, the largest of the pelican species from the Tangalooma Jetty. Learn how the town of Tangalooma evolved from the devastating exploitation of whales, to becoming the home of sustainable whale watch tourism and conservation. Please note that casual visitors to Moreton Island are not allowed access to the resort premises for the nightly dolphin viewing / feeding experience. All guests that are authorised to stay overnight at properties within the grounds of the resort have general admission access to the dolphin viewing areas each evening. Only guests who have booked official day trips and select overnight stays with Tangalooma Island Resort will be able to participate in the nightly dolphin feeding program, but only if it was included in your original package. Consult your confirmation paperwork to confirm your access.